The first railway line was the brainchild of Baron Sloet van en Beele. The route was connecting Semarang and Surakarta, stretches for 110 km. Since then, the development of railway routes within the years of 1864-1900 was growing rapidly fast. 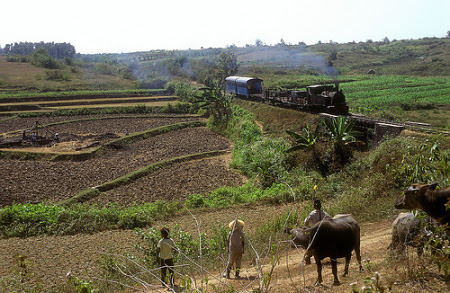 The development of railway routes were not only focused on Java, but also in Aceh (1874), North Sumatra (1886), West Sumatra (1891), as well as Sulawesi (1923). On those days, steam train became the primary means of transportation. Even some of the trains can only be boarded by those with privileged position. However, as the modernization penetrated, the position of the steam trains were replaced by electric trains. And soon, the steam train became nothing but history. But worry not, the government in some areas still maintain these trains and also the routes. You can still walk along the historic path using the old train and route. And here are some of it. 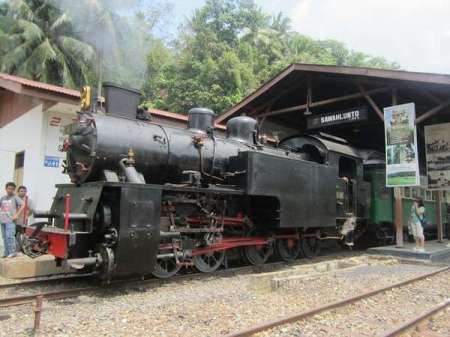 Mak Itam was the first locomotive used to haul coal. Her body was manufactured by Esslingen factory (Germany) in 1966. This locomotive pulling a wooden walled passenger train with an open-concept as a tourist train in urban areas. Two of the seven kilometers you’d pass through the tunnel called Lubang Kalam. The sound of smoke and steam from the locomotive will fill your ears as it passes through the tunnel. Mak Itam operates twice a day. Special for local tourists, the train only operates on Saturday and Sunday. Meanwhile, foreign tourists can enjoy the journey with Mak Itam from Monday through Friday. You will be invited to be the witness of the beauty in the border of Central Java and East Java. The train which was made in Germany on 1928 will take you through the expanse of teak forests hundreds of years old. Throughout the 30 minutes trip, your eyes will be pampered with rivers, fields, and the famous Olean sugar mill. The track was made in 1915, but still well maintained and safe to pass. Foreign tourists from Europe, U.S, and Japan are known to enjoy this route. If you are lucky, there will be a local art show to entertain you on the train. This ancient train operates from Monday to Saturday. You can chose whether to depart from Padang at 06.00 AM or from Pariaman at 08.30 AM. But be prepared, because you will spend 2.5 hours in this train. This is probably one of the few old-fashioned train that is still a real common means of transportation. Therefore, the train is often full of people, with many hawkers back and forth in it. 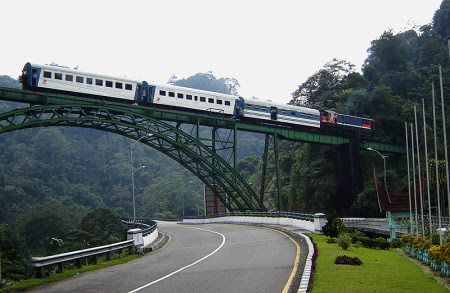 Along the way you’ll pass several small stations like Duku, Pasar Usang, Tabing, Kayutanam, and Lubuk Alung. These stations are very beautiful in camera frame because of they are still in colonial structure. In addition, you also can go straight to the Pariaman beach located close to the Pariaman station. With this train, you will be brought down to a three-hour trip using old diesel train. The train is equipped with executive class and business class. Along the way, you will pass through the typical stunning panorama of West Sumatra, including the famous Lake Singkarak. This train operates only on Sunday and national holidays. You can choose the hour of departure from the both point of destination. 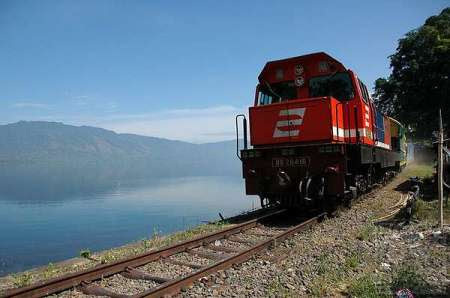 This train departs from Sawahlunto at 11:00 AM & 12:40 PM, and from Muara Kalaban at 11:50 AM & 11:30 AM. 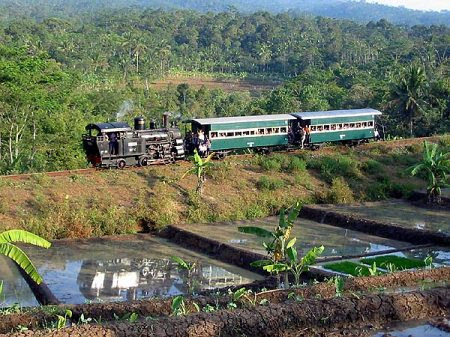 Railway Tourism in Ambarawa is probably the most famous among the others. Its existence is recognized as one of the most popular railway tourism in the world. The steam train is fueled with teak wood and a loud sound engine. What’s unique in Ambarawa train tourism is its jagged path. It was made like that because the destination is Bedono Station, a station which position is higher than Ambarawa Station. Nine kilometers can be reached within 1.5 hours. The panorama is extraordinary exotic, the typical of mountain areas in Java. Rice fields, plantations, you can even see Merbabu mountain from a distance. Halfway to Bedono Station, you will stop at Jambu Station to transfer to the rear locomotive carriage. This is done so that the locomotive can push the train up to the destination station. In addition to changing the position of the locomotive, the train will also stop several times to fill the boiler.